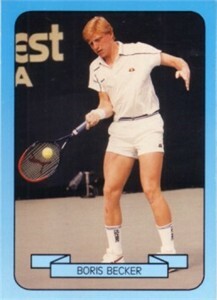 1990 Living Legend tennis card of former German superstar Boris Becker. ExMt condition. ONLY ONE AVAILABLE FOR SALE.